What is the right answer to the question: “When does my explicit transaction start”? The answer looks obvious – when I run “begin tran” statement. Well, not exactly. 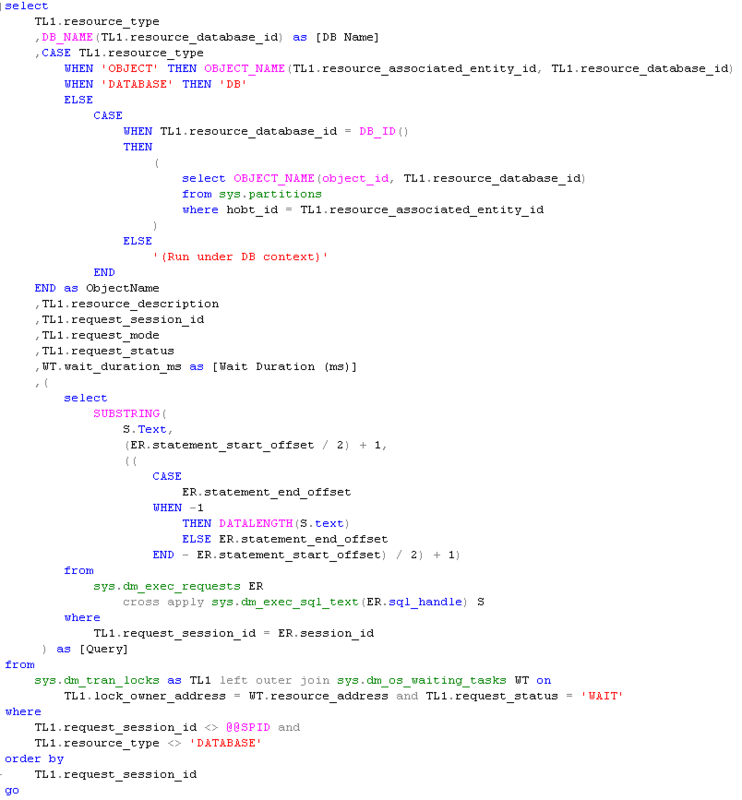 Yes, BEGIN TRAN statement marks the logical point when you start the transaction in your code. But does it do anything? Let’s see. First, let’s create the test database for simplicity sake. 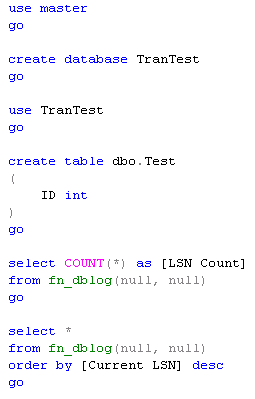 Next, let’s create the table in this database and after that look at transaction log. We will use non-documented but well known function fn_dblog. Again, for simplicity let’s not filter any content – just see entire log there sorted by LSN in descending order together with record count. As we can see, we have 445 records there and the last one ends on e3:000b. Now let’s open another session and run BEGIN TRAN there. Even with PRINT statement. Now let’s look at transaction log again. We can see – nothing changes – still 445 records with the last one ends on e3:000b. Now let’s insert one row there. And now we finally have new entries in transaction log. 25 more records. 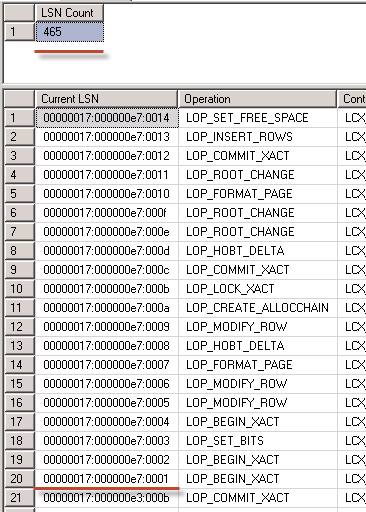 And the first one inserted after e3:000b is LOP_BEGIN_XACT which corresponds to begin transaction. Now let’s commit the transaction and look at Books Online: Although BEGIN TRANSACTION starts a local transaction, it is not recorded in the transaction log until the application subsequently performs an action that must be recorded in the log, such as executing an INSERT, UPDATE, or DELETE statement. An application can perform actions such as acquiring locks to protect the transaction isolation level of SELECT statements, but nothing is recorded in the log until the application performs a modification action. And that’s what we just saw. Well, that’s interesting (and documented) behavior but there is another very interesting aspect related with SNAPSHOT transactions. As we know, SNAPSHOT isolation level provides transaction level consistency. The key point – what is the starting point for consistency. Let’s take a look. 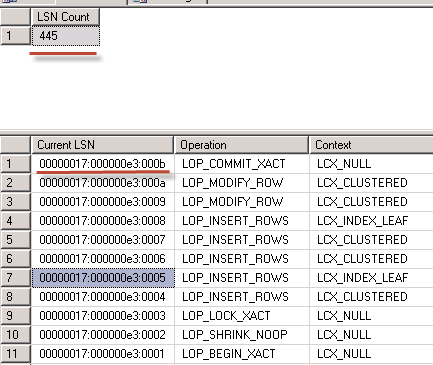 First, let’s enable snapshot isolation level on database level. Next, let’s create another table and insert 1 row there. Now let’s come back to the first session where we have active transaction and select from that table. As you see – we have 2 rows. And if we look at active snapshot transactions again, we would have our transaction listed. In snapshot transaction we still see 2 rows in that table. So that’s interesting – we have transactional level consistency in snapshot transaction but that consistency starts at the point when we access the data for the first time, not at the moment of BEGIN TRAN statement. We does not necessarily need to access the same table – just any data to have our LSN for snapshot transaction logged. Let’s see that. As we remember, TEST2 table is empty now. Again, commit transaction first. As we can see, transaction is enlisted already. Now let’s go to the second session and add row to TEST2 table. And now come back to our original session and select from TEST2. No rows. As it happened to be at the moment when we ran select against another table. This is interesting behavior that has not been fully documented. If we need to have consistency started from the moment of BEGIN TRAN, we have to access the data immediately after we issued this statement. Keep in mind though that from that moment SQL Server keeps all old versions of the rows from all tables in the version store. So long-running snapshot transactions increase the load and size of TEMPDB. 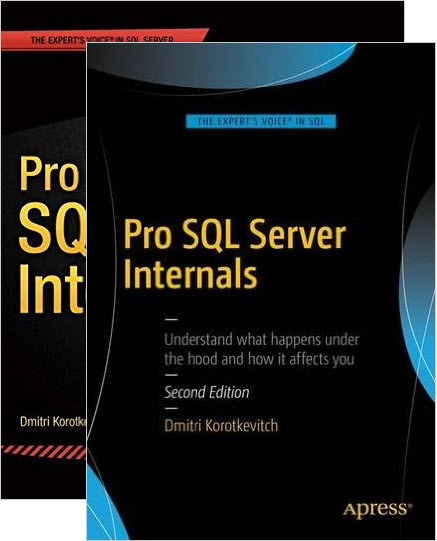 This entry was posted in General, SQL Server 2005, SQL Server 2008 on April 25, 2012 by Dmitri Korotkevitch. Great event! My big kudos to Andrey Korshikov who organized that event practically alone. Not even mention that he did not sleep at all while it was in progress. This entry was posted in General on April 13, 2012 by Dmitri Korotkevitch. 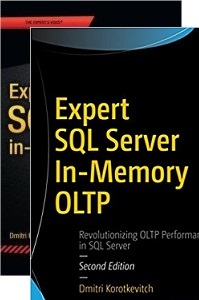 I’m very pleased to say that I’ve been awarded as Microsoft SQL Server MVP. Thank you very much for all your support! It would not be possible without all of you! This entry was posted in Announcements, General on April 5, 2012 by Dmitri Korotkevitch. We did not talk much about schema locks while back when we were discussing locking. Those locks are a little bit different than other locks – they are acquired on objects (and metadata) level and protecting the metadata. Think about it from the following prospective – you don’t want to have 2 sessions altering the table simultaneously. And you don’t want the table being dropped when you are selecting data from there. 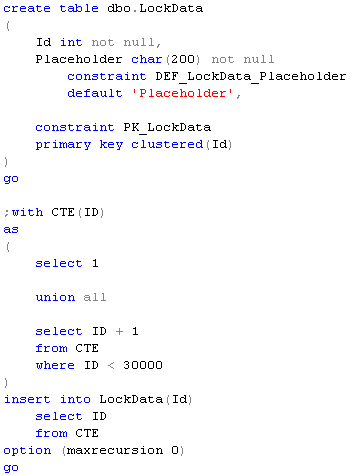 There are 2 types of schema locks. SCH-S – schema stability locks. Those locks are kind of “shared” locks and acquired by DML statements and held for duration of the statement. They are compatible with each other and with other lock types (S, U, X, I*). The caveat is that those locks acquired regardless of transaction isolation level – so you’d have those locks even when your queries are running in read uncommitted or snapshot isolation levels. Let’s take a look. First, let’s create the table and populate it with some data. You, perhaps, need to adjust number of rows in the table based on your hardware. Second, let’s run long-running select in read uncommitted mode (I even use NOLOCK hint to make it a little bit more “visible”). And while it’s running, let’s run the statement that shows currently acquired locks (click on the image to open it in the new window). That statement is basically using sys.dm_tran_locks DMV – I just added a few other things to make it easier to see/understand. You can get it in the script file (see the link below). As you can see, even if statement uses READ UNCOMMITTED transaction isolation level, we still have SCH-S acquired. Second type of the lock is schema modification lock – SCH-M. This lock type is acquired by sessions that are altering the metadata and live for duration of transaction. This lock can be described as super-exclusive lock and it’s incompatible with any other lock types including intent locks. Let’s take a look. Let’s run the previous select again and in another session let’s try to alter the table – add new column. Even if adding nullable column is pure metadata operation, as we can see below it’s blocked. As you see, there are 2 granted SCH-S locks and one SCH-M lock request waiting for both sessions. This is a reason why your DDL statement can wait for quite a long time on the system under heavy load. The biggest possible issue with schema modification lock is that it’s incompatible even with intent locks. 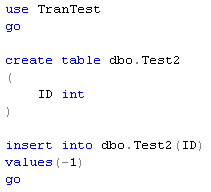 Let’s take a look – same scenario as before, but let’s run INSERT statement in the third session. And let’s check the locks. Insert statement is trying to place intent lock (IX) on the table and it’s incompatible with SCH-M lock. So insert is blocked. 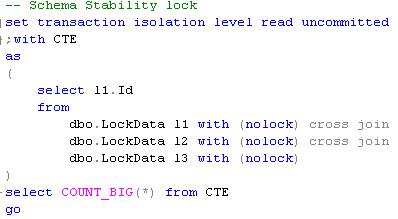 Kind of interesting situation when select in read uncommitted isolation level blocks insert. And if we think about it, there are more operations counted as metadata modifications than we think. For example, index rebuild would do exactly the same thing. And of course partitioning related operation. If we think about SCH-M locks, they are acquired on the object level – deadlock possibilities are endless. And unfortunately, that’s extremely annoying when you’re dealing with operations related to table partitioning. Well, there is no easy way to solve that problem – good error handling could help though. I will show some examples shortly. 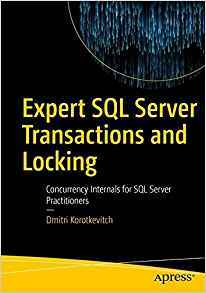 This entry was posted in General, SQL Server 2005, SQL Server 2008, T-SQL on April 5, 2012 by Dmitri Korotkevitch.